Blogging – especially for authors – is a contentious subject. My thoughts on the matter are much the same as any other kind of content production – if nobody’s going to read it, why bother? Which is exactly the rub. So many authors “start a blog” because it’s easy and because they think it’s something they “should do”. Only to get frustrated when nobody comes to visit. The truth is, for a lot of authors, it’s far more effective to spend your time working on either (a) writing your next books, or (b) growing your audience (so you can sell those books to someone). But what if building an author blog could help you do both? Let’s face it – if you’re a non-fiction author, it’s pretty easy to know what you’re going to write about (hint: the same thing you write about in your books). Usually, the answer isn’t simple. There’s a lot for you to consider: what are you going to write about? Who is your target audience? How will your blog grow your audience or sales? How does it fit into your overall business plan? Those questions usually elicit a stony silence, and occasionally sobs of despair. So now’s the time to answer that question properly – should you start a blog if you’re an author? If you get it right, your blog can become a steady source of reliable and engaged readers – who will, guess what, be more likely to buy from you than pretty much any other source of traffic. 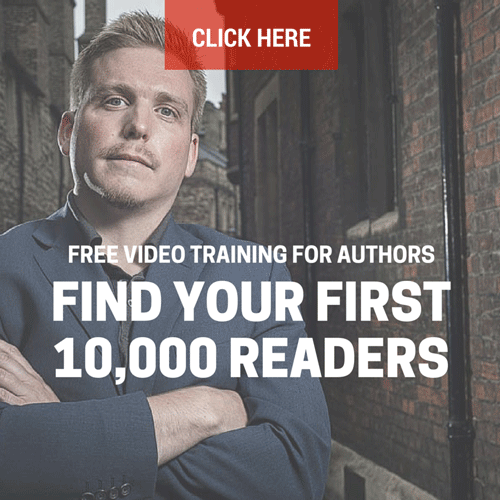 You have the added bonus of not having to worry about putting all your eggs into Facebook’s or Amazon’s basket – and build yourself a source of readers that you control. But, of course, it takes time to establish yourself. But once you do, the results can be impressive. So, if you’re wondering how to get started with blogging for authors, this article will get you set up the right way (including how to pick the right topic if you write fiction). If you heard a clang on 12 January 2018, it was the sound of collective jaws hitting the ground around the world. Mark Zuckerberg announced changes to the Facebook news feed. He wanted it to return to an endless parade of baby photos, cat memes and arguing over Doctor Who. Content from brands and businesses would scale back significantly. No more ‘get your beach body in just 46 seconds a day!’ fitness ads in my news feed? Wherever will I get my daily dose of self-loathing now? Anyway. Marketers and authors panicked about how to reach audiences without ramping up their ad spend in Facebook’s news feed. The problem here is not down to the whims of Zuckerberg. The problem comes from relying too much on a single traffic source. It’s like building your house on someone else’s land. What happens when the owner changes the rules? You have to demolish your house. Or, in our case, your traffic dries up. Let’s bring this down to the level of the author. Why are some of us panicking so badly about it? We’ve always had plenty of ways to reach readers. Look at speaking gigs or podcast appearances. Use other social media platforms. Or entice new readers onto our mailing list with a permafree book. I’m not going to slate any of those options because they’re all awesome. But I do want to point to the marketing method that’s done the most for my outreach. It’s one that’s predicted as being dead, or dying, for years. It also plays to the strengths of writers. I can already hear some of you groaning. You tried blogging before but you got tired of hearing crickets every time you hit ‘publish’. Some of you don’t feel you have time in your schedule. Or you’ve read blogs about how to blog and taken fright. I’m not surprised. Gurus insist that blogs must educate readers. Teach someone how to do something and then sell them an online course. Or share your inspirational ‘journey’ (how I loathe that word) and become a coach. If you read traditional blogging advice, it looks like blogging for fiction is a dead end. How can you teach someone how to do something and relate it to a novel? And if you ask these gurus how to blog as a FICTION writer (and I have), they’ll all say the same thing: write about your characters. Blog about how your book is going. Talk about where you got the idea. They all say they’d read it. No one Cares about your Book before you Publish it. Blogging about your book when no one knows who you are is pointless. Unless you’re publishing your book in serial format, it’s unlikely anyone cares about your story. You can’t blame them. How could they care, if they haven’t read anything by you? It’s the same reason blogging about your characters, or your world-building, is a total waste of time. Only other writers want to read about the writing process. Posting about the writing process is equally pointless. True, it’ll net you visitors. But those visitors will most likely to be other writers. There’s no guarantee they even read your genre. They won’t want to add your book (when it’s published) to their gargantuan ‘to read’ pile. Blogging about writing can be valuable for building a network of fellow writers. That’s helpful when you want to cross-promote. Or you need support because you’ve had writer’s block for three weeks. Let’s face it; you can only re-arrange your sock drawer so many times. But now we’ve looked at what not to do, let’s look at what can work. Creating a relevant blog is pretty easy if you’re a non-fiction writer (just write about your topic). But it’s a little trickier for fiction authors like me. Blogging as a fiction author works when you remember your readers. They’re your target audience. Not your friends, not your family, not other writers. Figure out exactly what your readers want to read about that’s related to your genre. They’re the ones you need to get onto your website. Provide that content. Then drive traffic. Simple? Let’s look at how you can do that. Say you write science fiction. Your readers are also interested in science and technology. You’ve got a built-in blog topic right there. Blog about the latest scientific developments and what they might mean for society. Or talk about classic science fiction films. Dig out weird inventions that never took off (people love failures). In other words, talk about the type of stuff your readers would love that’s related to your genre. You can mention your books where they’re relevant, but remember to provide value first. Entertain or educate your reader within the genre, since that’s what you have in common. Say you write comedy. Choose your topic and write about it in a funny way. Write romance novels? Post about classic romance films or romantic heroes. If you’re not sure what to write about, survey your existing readers. Find out what they’re interested in. Don’t feel you need to post every single day. Or even every week. Try a couple of posts a month and see how you get on. But now we need a way to make your blog work for you. Provide a way to get readers off your blog and onto your mailing list. I include a Convertkit sign up form at the end of every post. I also use a discreet scroll box popup that slides in from the side when a reader has scrolled through 70% of the post. If you’ve made it through 70% of an 1100-word post? You’ve built up a degree of goodwill towards me and interest in my writing. You’re more likely to go “Ooh this person has a free book of fiction related to this topic. Go on then”. And you’ll sign up. (You also won’t see that scroll box again for a month because I don’t want to annoy you). Sign-ups aren’t at the same rampant flow as they are with paid ads or free books. But they’re free to earn. Posting good quality content costs time. But if you get your SEO right for each post, people can discover your content weeks, months, and even years later and still find you. It’s a more passive form of list building but it’s still effective. I average 40 sign ups a month, which is around 450 extra subscribers a year. The only financial cost is my web hosting, pop up software (I use Popup Ally Pro for $79 a year) and Convertkit costs. You could save money using a cheaper host and an email provider like Mailchimp. Sure, I might have a smaller list than some. But my open rate is between 30-35% and my click rate is between 4-10%. Both of those are pretty good based on sector averages and they haven’t gone down as my list has grown. I believe it’s due to the way I earn signups. And subscribers respond to my emails and engage with me. Bonus! Some blogging gurus say a bad idea to start a blog without knowing what you’ll blog about. There’s no guarantee you’ll find success. Authors are a different case. You hopefully already have a website, so adding a blog doesn’t cost extra money. Your topic relates to your genre, which you’d be writing anyway. Users of WordPress.com alone publish around 86.4 million new posts a month. That doesn’t include the self-hosted WordPress posts, or new content on Tumblr, Blogspot, and Squarespace. With so much competition, how do you stand out? The cornerstone of blogging has always been ‘community’. When I first started, it was the Friday Flash community of writers. Now I’m part of the Folklore Thursday community. (It’s where people post snippets and blog posts about folklore on Thursday). I’ve guest-hosted for the hashtag and contributed to their website. That means there’s a place on the internet where like-minded folks share their interests on a regular basis. I guarantee there will be something for whatever you’re interested in. And you can end up with some surprises taking part in something like a regular hashtag chat. Guillermo del Toro, the director behind Hellboy and Pan’s Labyrinth, retweeted my blog post about the ghosts at the Bank of England. Figure 2: Retweeted by Guillermo del Toro himself!! Yep. Guillermo del Toro himself. Did that have any impact on my traffic? You’re damn right it did. Figure 3: Guess which day the spike refers to. True, if Twitter went away I’d lose a strong traffic source. But look at my acquisitions data from Google Analytics. Social traffic is only the third most popular source for my traffic. I’ve got enough content to show up in organic searches. I’m not doing this to brag. I want you to see it’s possible to create content about something related to your fiction that brings people to your site. Once they get there, it’s up to you to make your reader magnet look as appealing as possible. Before we wrap things up, I want to talk about the final benefit blogging has for fiction authors. You’ll hear the gurus talk about ‘authority’. It applies to novelists too. Those articles about ghosts or folklore netted me invitations to appear on podcasts. I had a guest appearance on Durham’s Palace Green Library website for an exhibition they’ve been running. They’ve even landed me copywriting clients. 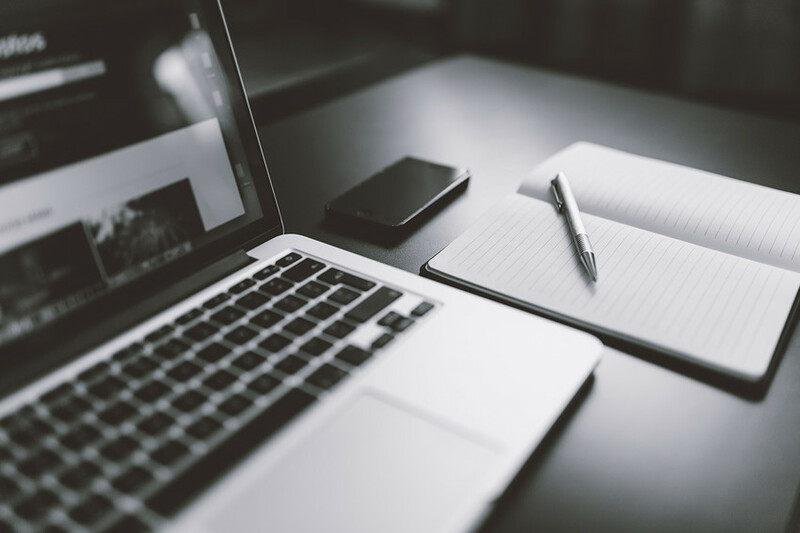 Putting effort into well-written, informative (or entertaining) blog posts cements your author brand. Readers will know what your write based on what you blog about. The moment you start getting “Hey, saw this and thought of you” comments? You know you’ve created a brand that sticks in the mind. Treat your readers like human beings, not just numbers in your KDP dashboard. Use your blog to make connections and build a community based on sharing common interests. Delve into that innate writing ability of yours and put your words out into the world. Icy Sedgwick writes weird and whimsical fiction in the Gothic horror and dark fantasy genres. Based in Newcastle, she also blogs about folklore and the supernatural when she’s not knitting, writing, or exploring graveyards. You can get a copy of her short story collection, Harbingers: Dark Tales of Speculative Fiction, here. Or connect on Twitter @IcySedgwick. And now we want to hear from you: What topics can you blog about in your genre or niche? How have you found traffic sources outside of social media? Leave a comment! I write HF and sometimes while researching I come across interesting stuff that doesn’t fit my books. But IF I wrote a blog, that might be what I’d write about. Maybe even some quizzes to test people’s history IQ. Exactly – people who read historical fiction have an interest in history and it’s a great way to share your research with people who would like the novels you write! I write historical fiction and blog about all the fascinating bits of reasearch I come across. It’s been a great source for email sign ups. I write sword and sorcery fantasy, and I have no idea what I’d blog about. There’s no relevant research, nothing that really translates from fantasy to real world… I might blog about different magic systems in fantasy, but that would get old fast. Hey Daina, why not write blog posts about your fav Sword and sorcery authors and books. Especially ones that may be similar to your own work. Go old school and talk about Robert E. Howard, or Fritz Leiber. Maybe speculate upon Amazons upcoming Conan the Barbarian series. Those would all make cool blog posts, and fans of Sword and sorcery would be drawn to it, and thus, your own work (hopefully). I post on my blog every Sunday. I started last August and haven’t missed a single week, not even the week a close friend of mine died. Sometimes that seems reason enough to blog. Every week I have a deadline to meet. But my posts are pretty random. I just write whatever takes my fancy that week. Maybe I need to focus more. Ken, it’s great that you’re giving yourself deadlines! Being random at first can be a good way to find out what you actually like writing about, but if you want people to keep coming back, they have to know what it is you offer. You can keep it wide as long as it relates to your fiction in some way! I sit with a similar dilemma—Been blogging regularly again since October, but the topics are too wide—not focussed enough. I’ll have to address that. Apply some of Icy’s suggestions. What an excellent article, Icy! I loved blogging when I was a travel blogger but I’ve definitely struggled as a romance author knowing what to write about. All my ideas seem to go into my books! I promised myself this year that I’d really try harder to blog regularly and you’ve given me an excellent place to start. Thanks a bunch for writing this! My pleasure, Tracey! And is there any way you can combine travel and romance? Finally, somebody is talking about what’s behind curtain number 2—blogging for fiction writers! Spent 10 minutes brainstorming post ideas and have 3 pages worth! Setting alone seems a prolific place to start. Followed closely by unsolved crimes, and classic noir films Thanks for moving me forward!!! I’ve been blogging regularly, but my conversion and signups are dismal. Narrow my focus is one thing I have to do. I have added a signup with a free gift at the end of each post, and yet, with little traction. How are you promoting your blog posts? Thanks – very comprehensive post. I agree it’s hard for fiction bloggers (I do nonfiction) – for my wife’s fiction books, I ended up doing the blogging for her. The posts are related to the minutiae of her books, such as how the writing is going, how promotion worked out, etc, always with a view to the readers, not fellow writers. Thanks! No problem – hope it helps! Your hook is partly the fact that they’re true stories, but it’s also going to lie in the way that you tell them. What thread links the stories? Is it a particular location? Age group? Overcoming adversity? The triumph of the underdog? Once you figure out that thread it should also make coming up with a website title easier! I have actually spent a lot of time brainstorming on this because I write primarily high fantasy. Then the brainstorming took off, and I came up with over 100 distinct possibilities. So now I’m going to write a book about that because I know I’m not the only fiction author out there who struggles with this. What I am getting ready to do on my own blog is to have set themes. Two days will be dedicated to snippet posts of stories I am working on or free writes. We’ll see how it works out. Great post. I write mysteries set in 1990s Tokyo. I’ve been writing blogs offering a slice of life, but stopped. Now I’m inspired to add more variety in topics. The folklore idea is a good on: lots of intriguing tales in Japan. Thanks again! And you could throw in real life mysteries, weird occurrences, strange news stories from Japan – the possibilities are endless! A great advice, thanks. You have said you write across genres. I write crime and urban fantasy (crime based). Have you chosen a theme that covers both genres and speaks to more than one audience rather than focusing on one genre? Not sure what to blog about so as not to alienate a specific audience. Hooray! Come and join the Folklore Thursday fun! Always enjoy your blogs, Icy. And @folkloreThursday. And always appreciate Nick’s advice. After 15 years listening to the wrong people and their crap advice, finally we’re gathering pace. Cheers! J.W. Webb, Fantasy Writer. It’s my absolute pleasure, Jim! Hi Icy, This was a great post. Thank you. I write contemporary (sometimes rural) romance. Been wondering how to keep my blog alive. Your post has helped. I can talk about the research that I’m doing towards my story: How vets check for shock after a dog is hit by a car; how to apply a pressure bandage for snake bite; the peculiarities of a ’63 Merc etc etc. What do you think? This blog post has been so helpful. I’ve been wanting to start a blog, but my book (when it’s finished) is a psychological thriller / domestic noir novel. I’ve been wondering what type of subjects I could blog about but I have no idea. Could you please give me some tips. My thriller deals with grief, obsession and post traumatic stress disorder. Brilliant piece – and lots of food for thought. Thanks Icy. I write contemporary women’s fiction and I’m chasing the Marian Keyes/Adele Parks/Lisa Jewell audience, so I guess talking about the writers/books I love, the actors I’d like to see play my characters and what dating was like in the 90s compared to now (one of my books is set then) might work?